On Wednesday, October 18 from 11.15-12.30 in Putvinskis St. 23, room 313 Dr. Charles Perrin, a Visiting Fulbright Scholar at VDU, will give a guest lecture titled The Road to Lithuania: Jonas Šliūpas and the Formation of National Identity. 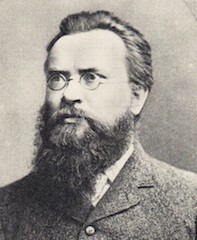 Jonas Šliūpas (1861-1944) was one of the leading activists in the Lithuanian national movement in the United States, where he spent thirty-five years living in exile. The lecture will be followed by a class discussion of Vincas Kudirka’s memoirs from 12.50-13.55. More about visiting Fulbright scholar dr. Charles Perrin.